Good for your healthy skin and hair, enriched Lauric Acid which is a ‘medium chain fatty acid’ which highly useful as an additional to form monolaurin inside the body of human. Lauric Acid is antibacterial characteristics and anti-oxidant. When it apply to your skin softly, it is non-greasy and hypoallergenic. Apply the skin after taking a bath for restoring the moisture, keeping youthful and anti aging result. -Remove the cosmetics. -Massage for soothing muscles. -Keep your good scalp and anti dandruff by leaving in your hair 1-2 hours before shampoo for prevention of Anti-hair loss. 1)Coconut oil is useful for dry and cracking skin. Contains vitamin E which is natural moisturizer. 2)Enhances skin soft and smooth. Restore skin hydration for firm and youth looking. 1)Coconut oil reserves hair moisture and retain glowing hair. There is vitamin E which enhances hair healthy. 2)Lauric acid and capric acid has been beneficial to anti-hair loss. 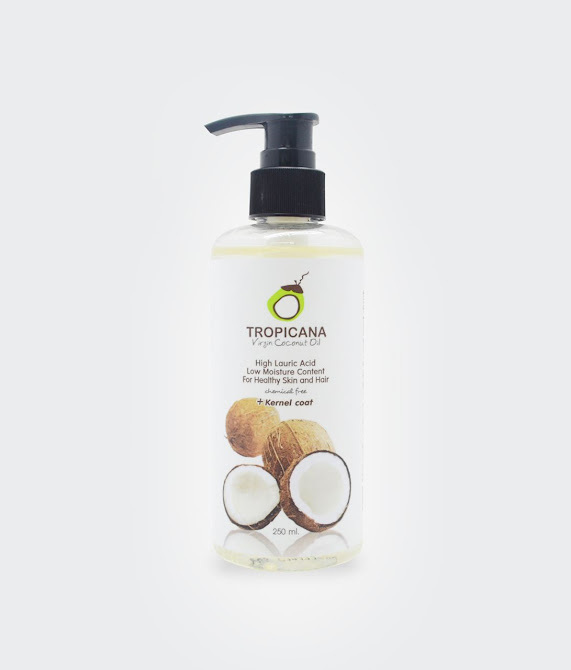 3)The saturated fatty acid of coconut oil is permeated to scalp and keeps its moisture. Take 3 table spoons Virgin coconut oil per day, use as cooking oil and salad dressing or add in beverage for better taste Use liberally with meals or in place of other vegetable oils for your food preparations, especially in salad dressing. 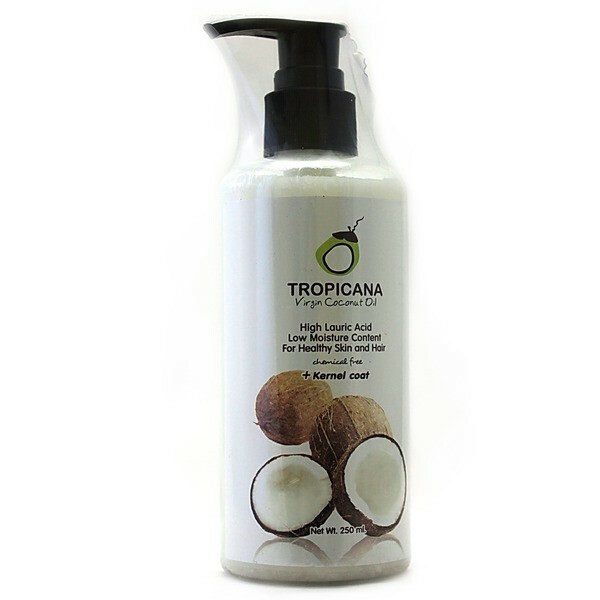 Pure coconut oil also makes a tasty, nutritional addition to banana, pineapple or strawberry smoothies. Suggested directions: Therapeutic Dosage: 3-4 tablespoons per day in a warm herbal tea of your choice. Use in place of other oils for food preparation. NOTE: Heat to liquefy if solid (solidifies under 76 degrees. 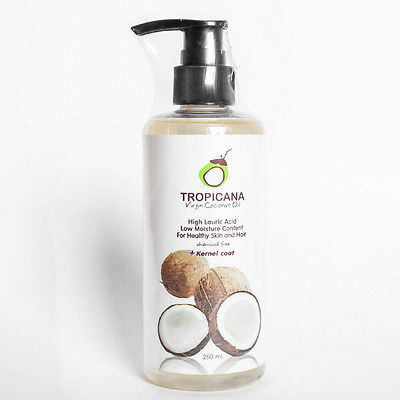 Product : TROPICANA ORGANIC VIRGIN COLD PRESSED COCONUT OIL. All Items are new set, and original imported from Thailand.